Hometown Gal on a Homegrown horse Bryanna & Bugs Gone Wild are headed to the BOTB! Here is a little more about Bryanna and Bugs gone wild AKA Wyatt who will be running at the BOTB in August. Tell us a little about your horse: Wyatt is the product of my now retired barrel mare. He was home bred, born, raised & trained by myself. He has most definitely lived up to my expectations. I am quite proud of him! I’m grateful to have my horse of a lifetime!! Everyone has a favorite place to run, tell us what yours is: I love outdoor arenas, and big pens. Because you have more run. 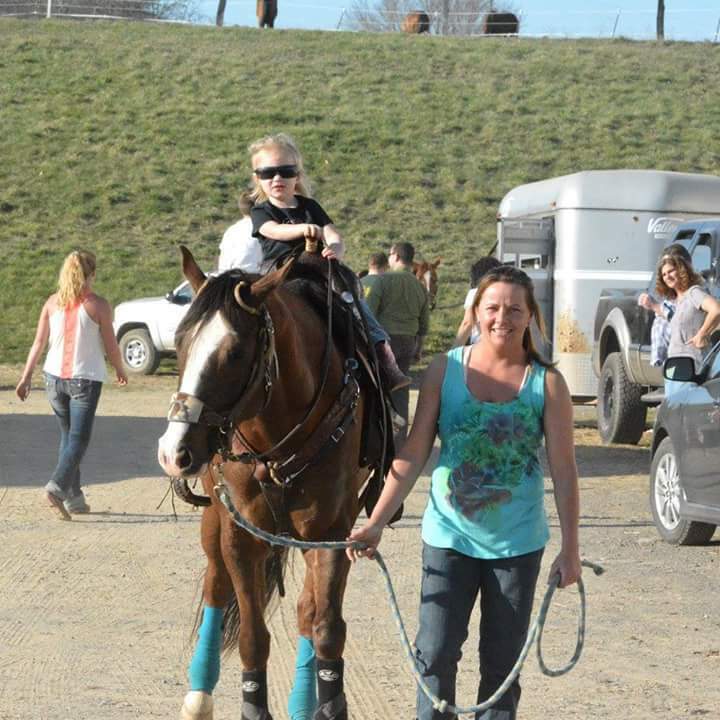 Give us a little more insight about you and your horse: Wyatt has such a big heart! He is so versatile and truly is an all around horse as well as part of the family! He takes great care of my 3 yr old daughter whether in a leadline barrel or pole class, he is great on trails, and is still very competitive at a high end barrel race! Next Mason and Pickles know the Dill (get it) They are ready for the BOTB!